Opponents on both the left and the right express concerns that an Article V convention to limit the spending, power, and jurisdiction of the federal government could undermine the existing rights of Americans. On the right, there are fears that our First and Second Amendment rights could be abridged. The left, pointing to the preponderance of Republican-controlled state legislatures, cites concerns surrounding the more-recently recognized rights of minorities. A move by the Arkansas House last month, however, demonstrates that red states are far from united in a quest to impose a hyper-conservative agenda upon the rest of the nation. On March 30th, the Arkansas House considered and defeated SJR7, a resolution asking Congress to propose a constitutional amendment defining marriage as exclusively between a man and a woman. Although Republicans enjoy a 3-to-1 majority in the Arkansas House, fully one-third of them stood with Democrats refusing to support this resolution. This legislative evidence demonstrates that anything regarded as extreme by either party stands little chance of securing the support of the 38 states needed for ratification. We have always known that both parties control more than enough legislative chambers to stop anything they see as unreasonable. But as Arkansas has demonstrated, we can now unequivocally state that a significant number of Republicans, even those from the Deep South, even those who enjoy supermajority status in their state legislatures, can be counted on to stand against any attempt to turn back the civil rights clock. This isn't about left vs. right...it's DC insiders vs. the rest of us. Have you signed our on-line petition at www.cosaction.com? Click here to join the 17,000 Illinoisans who support HJR 32. And use the buttons below to share on social media. Can't see the buttons? 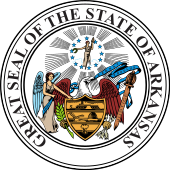 Scroll up and click on the title of this article, "Arkansas Legislature..."
On March 30, the Illinois House Executive Committee passed HJR 32 with an 8-0 vote. The resolution calls for an Article V convention to propose amendments to limit the power, jurisdiction, and spending of the federal government. House leadership recognizes the importance of this resolution in providing long-term relief for Illinois’ status as a “donor state,” as well as its ability to address other problems connected to federal overreach. The resolution has strong bipartisan support in the House: it is being carried by Representative Rob Martwick, joined by Chief Co-Sponsors Avery Bourne, Linda Chapa LaVia, constitutional attorney Peter Breen, and Assistant Majority Leader Mary Flowers. The resolution has dozens of co-sponsors, evenly divided between parties and including Assistant Majority Leader Dan Burke and Republican Caucus Chair Tom Demmer. Sen. Tom Cullerton plans to carry the resolution in the Senate. Congress’ approval ratings haven’t seen 50% in well over a decade; and more than 2/3 of Americans agree with statements like, "Federal officials are more concerned with their own interests and those of their cronies than what’s best for the American people." This level of dissatisfaction isn’t just bigger than one political party or the other: it’s bigger than both of them combined. The Constitution gives states the right and responsibility to stand up for people when the federal government can’t or won’t. By passing this resolution through committee, Illinois has taken the first step towards joining with other states to impose reforms on Washington DC that we can’t expect Congress to take up any time soon. This is a major milestone for Illinois and the nation. Illinois is the first blue state to pass the COS application through committee. But our work is not over yet! The more co-sponsors we have, the more likely we are to get our floor vote. Please use the link below to find out if your Representative has signed on to HJR 32, and, if necessary, contact their office in Springfield to ask them to become a co-sponsor. Rep. Rob Martwick (D-Chicago) Files COS Application! 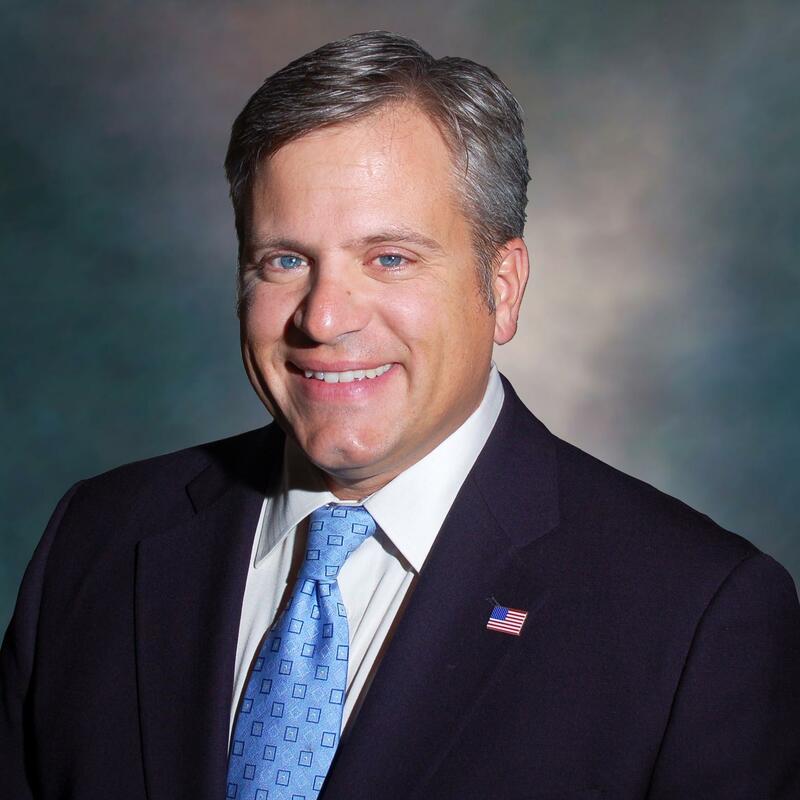 Representative Rob Martwick (D-Chicago) has filed the COS application, HJR 32, in the Illinois House. Martwick is a former State's Attorney who grew up in the district he now represents. He has been involved in politics since his youth, and has devoted his career to fighting for the interests of average working people. He was a Chief Co-Sponsor of the most recent Article V resolution passed by the Illinois General Assembly. Rep. Martwick will be joined on HJR 32 by Representatives Linda Chapa La Via (D-Aurora) and Peter Breen (R-Lombard) as Chief Co-Sponsors. Rep. Chapa La Via is our oldest friend in the Democrat caucus. Like Rep. Martwick, she was born and raised in the district she now represents. The youngest child of agricultural workers, Rep. Chapa LaVia was the first in her family to attend college, and then went on to serve a combined 10 years as an officer in the U.S. Army and Illinois National Guard. 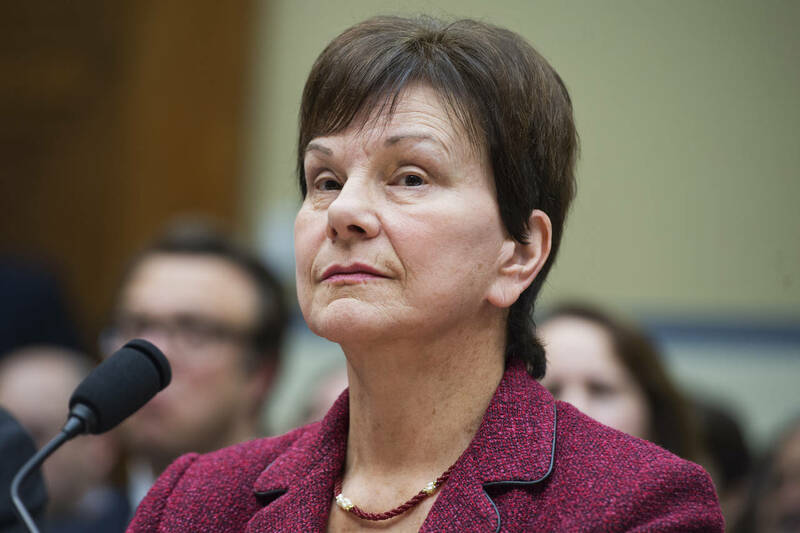 She was the Chief House Sponsor of the most recent Article V application to be passed by the Illinois General Assembly, and is a member of the Executive Committee of the Assembly of State Legislatures. Rep. Breen is a constitutional attorney specializing in free speech and religious liberty rights. In addition to representing the people of Lombard in the General Assembly, he serves as Special Counsel and is a past Executive Director and Vice President for the Thomas More Society, a public-interest law firm that litigates important cases involving life, family, and religious liberty. He is also founder of the Woman's Choice Services crisis pregnancy centers and Project Gabriel, serving women and children facing extraordinary circumstances like domestic abuse, recent immigration, or unplanned pregnancy. We thank these hard-working public servants for unifying across party lines to serve the people of Illinois. You can follow the progress of HJR 32 here. You can sign our on-line petition here. Please share this great news with your friends by using the buttons below. Can't see the buttons? Scroll up and click on the title of this article, "Rob Martwick Files..."
Writing for the Daily Signal, Republican Congressman Rob Bishop announced plans to use the Congressional Review Act to push back against what he describes as the Obama administration’s 8-year effort to “sidestep Congress” through a “relentless campaign of unilateral, overreaching rules, orders, and memorandums” designed to block energy and resource development in western states. Regardless of one’s position on energy or the environment, one has to wonder: where was Congressman Bishop when Barack Obama was actually in office directing the activities he claims to be so outraged about? The Congressional Review Act has been the law of the land for over 2 decades and has been in force throughout the entirety of Congressman Bishop’s career on Capitol Hill. Why is he suddenly deploying it now, when his own party enjoys unilateral control of Washington, DC? And against a President who isn’t even in office any more? Could it be that Congressman Bishop is responding not to Barack Obama, but to the fact that the House of Representatives in his home state of Utah passed the Convention of States Project's application calling for an Article V Convention today? Congress has a long history of moving to act when state legislatures unify around Article V, starting with the Bill of Rights and continuing with the abolition of slavery, direct election of Senators, the repeal of Prohibition, and term limits for the President. They want to be in control of reforms that will apply to Washington, not have them imposed by the people's duly elected representatives in the state legislatures. The other thing they have a long history of is doing as little as they possibly can to deflect scrutiny, then returning to the status quo as quickly as they possibly can. Let’s not let them get away with it this time. It's not too late to sign the on-line petition at COSaction.com. And use the buttons below to share on social media. Can’t see the buttons? Scroll to the top of the page and click on the title, “Another Congressional Attempt..."
only 2 of which involved illegal substances. Perhaps most disturbingly, the DEA recruited employees of private businesses like airlines and shipping companies as informants. By using private citizens instead of government officials, seizures resulting from these channels, called “Limited Use” sources, skirt the Fourth Amendment requirements for a search warrant, informant testimony, and a specific statement of what is sought in advance of the search. Limited Use sources have collected millions of dollars in finder’s fees. The report further indicates that 88% of the DOJ’s forfeiture cases involve no judicial oversight whatsoever. It is also interesting to note that the OIG indicates that the DEA erected “obstacles and delays” to the audit. In June, Iowa Senator Chuck Grassley introduced the DUE PROCESS Act (Deterring Undue Enforcement by Protecting Rights of Citizens from Excessive Searches & Seizures). Once again, when faced with embarrassing evidence of federal misconduct, Congress scrambles to do as little as it possibly can to deflect criticism, while circling the wagons to maintain its control (please read “Do as I Say…” and “Congress Begins Acting…” for more on this). Our Constitution states that If government officials are going to take your property, they must convince a judge to issue a warrant, and state ahead of time where they will search, what they’re looking for, and why there’s reasonable cause to conclude that the property is connected to a crime. Once this principle is violated for a popular cause like curbing illicit drugs, it becomes that much easier to invalidate it for flimsier and more controversial reasons. Civil asset forfeiture doesn’t need “greater transparency." It needs to be done away with altogether. If the government is not going to get a warrant and charge you with a crime, it shouldn’t be able to seize your property. Period. Congress and the DOJ don’t agree, because it’s not the rich & powerful who are being victimized by this practice. It’s time to make them listen. Please tell your state legislators that you want them to push back against this abuse by signing our petition at www.cosaction.com. You can use the buttons below to let your friends know that there’s something they can do about this. Can’t see the buttons? Scroll up and click on the title, Civil Asset Forfeiture Update. Efforts to reform the federal government through an Article V Convention are not just building momentum in the state legislatures: they're gaining attention from nationally-recognized media, as well. In August, the New York Times ran a front-page story on Article V efforts; and this week, the Chicago Tribune ran its own story about how the results of the November election impact the movement. The big story, and one both the Trib and the Times missed, is that the Convention of States' resolution has a broad spectrum of bipartisan support in Springfield and elsewhere. It is also a vehicle for blue states to push back against a completely Republican-controlled Washington, DC. The resolution, calling for an Article V Convention to propose amendments to limit the spending, power, and jurisdiction of the federal government, will be filed in the Illinois Senate by Sen. Tom Cullerton (D-Villa Park) during the upcoming legislative session. In a letter to the editor, Illinois Legislative Liaison Vickie Deppe responded, "What these legislators realize is that whether you’re a liberal or a conservative, process matters. Those who support what President Obama accomplished with executive orders will probably find what Donald Trump does with his pen and phone highly objectionable." States have been at the forefront of some of the most significant policy movements in American history, including women’s suffrage, marriage equality, and dismantling the abysmal failure known as the “War on Drugs.” The backlash following the Republican sweep of Washington, DC, illustrates precisely why it is time for the blue states to take their place at the Article V table and lead the way in imposing badly-needed and broadly-supported reforms on the federal government…reforms that Congress will never undertake on its own. You can sign our on-line petition at www.cosaction.com, and invite your friends by using the buttons below. Can't see the buttons? Scroll to the top of the article and click the title, "Chicago Tribune Covers Article V."
Read more at the Illinois Blog. One of the primary and legitimate roles of any government is to protect its citizens. When the water became unsafe to drink in Flint, Michigan, there was no disputing that the buck stopped with government officials. But can regulations go overboard? A 2016 survey of Government Accountability Office data indicates that federal regulatory agencies have issued over 47,000 new regulations since 2001. The estimated cost of compliance of just these new additions is $176 billion every year, which is borne by American consumers in the form of higher prices for goods & services. Many of these regulations involve cosmetic aspects of food (how it looks, not whether it is safe to eat), meaning that low-income Americans are paying more for basic necessities than they should. For example, did you know that it is a federal crime to sell cottage cheese with too much liquid in it? Or to call something “chicken soup” if there’s not enough (as arbitrarily determined by a federal bureaucrat) chicken in it? Or to label an apple as “fancy” if it’s not red enough? These violations carry both fines and prison time! Apparently, federal regulators don’t trust the average consumer to simply not buy a brand again if they aren’t happy with its quality. Nor do they seem to be aware that most grocery stores will issue a refund if a customer is dissatisfied. The biggest burden will fall on small farms and local food producers who are forced to implement controls, training, and record-keeping systems fashioned for much larger operations. And because the rules are rigid, producers of specialty crops are particularly concerned that advances in food science and technology will become more difficult to adopt. DeJong Brothers Farms, formerly located in Lansing, Illinois, has already collapsed under the weight of federal regulation. If this trend continues, our food will be sourced exclusively by Big Ag. Competition will be systematically eliminated by faceless, unelected bureaucrats. The abject failure in a task as basic as safeguarding the water supply in Flint juxtaposed against the pointless micromanagement of our lives by the federal government demonstrates that the regulatory state has lost its way and is badly in need of recalibration. Congress likes to delegate lawmaking responsibility to bureaucrats because it allows them to take credit or shift blame as is politically expedient…and hide the things they do to reward their big-money donors. It’s time to hit the reset button. It’s time for an Article V Convention. Please sign our petition to let your state legislators know you want them to stand up to the power-brokers in DC. And use the buttons below to invite your friends to join us, too. Can't see the buttons? Scroll up to the top of the screen and click on the title, "Regulators Gone Wild." In 2015, President Obama was the subject of harsh criticism among conservatives for commuting the sentences of nearly four dozen offenders serving lengthy sentences in federal prison. Who were these people? Why did the President intervene? And most importantly, can and should anything be done to prevent the need for Presidential intervention in these kinds of cases going forward? These individuals were convicted in federal court for non-violent drug-related offenses. Because of mandatory sentencing minimums passed by Congress in the 1980s and ‘90s, these people were serving longer sentences than some convicted murderers and rapists. One of them was Alton Mills, a Chicago resident who had injured no one and had never spent a day in prison prior to being issued a life sentence mandated by sentencing minimums set by politicians in Washington DC. These laws were implemented by well-intentioned federal officials who sought to protect our nation’s young people from the scourge of drugs, and, ironically, to eliminate racial bias in sentencing. But now that they’re in place, it has become apparent that they are deeply flawed. As so often happens when the federal government becomes involved, these laws have actually exacerbated the problems they were meant to solve. According to American Progress, one in three black men can expect to be incarcerated at some point during his lifetime. Federal data indicates that blacks represent triple the population of federal prison inmates as compared to their proportion of the general population. Federal sentencing minimums compound this problem, imposing even lengthier sentences while offering no possibility of parole. Extended periods of incarceration leave the offender disadvantaged in the job market upon their release from prison. The impact of federal sentencing minimums is not only felt by men. The impact on families can be catastrophic. Children are deprived of the benefit of having their fathers present in their lives, and their mothers are left to support the family and raise children alone for extended periods of time, increasing the likelihood that the family will fall into poverty. Some women are pressured to participate in crimes by a romantic partner, and are sentenced just as harshly as the real perpetrator for what only amounts to peripheral involvement. This leaves children doubly disadvantaged as both of their parents are incarcerated. If they are lucky, there are caring extended family members able and willing to make the long-term commitment to raise them. Others are thrown into the child welfare system. Judges have described these mandates as “cruel and unusual punishment.” In many cases, treatment is the far superior course of action, but judges’ hands are tied by federal mandate. Law enforcement and judges alike want to see sentencing reforms that allow them to use their good judgement to allow for individual and extenuating circumstances. Congress has taken the initial steps to modify federal sentencing minimums, but in this Presidential election year, the parties are even more polarized than usual and the legislation has stalled. The havoc federal sentencing minimums wreak on American families and minority communities is an excellent example of what happens to everyday Americans when government officials are too quick to cut corners on one of our bedrock principles, the separation of powers. By passing federal sentencing minimums, Congress has invaded the judiciary, replacing a judge who is able to consider individual circumstances and mitigating factors for one-size-fits all formulas created by people with little, if any, experience in criminal justice. Now that we’ve seen the disastrous effects of this move, Congress is too polarized and there are too many competing interests to muster the political will to walk back the error. State legislatures are far less divided and are able to deal with these issues in a far more responsive manner. These 46 people were fortunate enough to have a President willing to intervene on their behalf. The next American caught up in the federal net will probably not be so lucky. But the good news is that the States are part of the original design of checks and balances in our government. When the political will does not exist on Capitol Hill, when the Supreme Court is satisfied to nibble around the edges, when the Oval Office is occupied by an unsympathetic President, an Article V Convention to limit the power and jurisdiction of the federal government can repair the tattered fabric of the Constitutional protection against cruel and unusual punishment all Americans should enjoy, regardless of race. Tell your state legislators you want them to stand up for justice when the federal government won't. Sign the petition and use the buttons below to share with your friends. Can't see the buttons? Scroll up to the top of your screen and click on the title of this article, "Federal Sentencing Minimums..."
FDA: Protecting Consumers or Helping Cronies Capitalize on Human Suffering? In a shocking override of its own scientific advisors, the FDA approved an experimental drug, Sarepta Therapeutics' eteplirsen, for the treatment of Duchenne Muscular Dystrophy. DMD is a rare, degenerative disease that strikes boys and usually takes their lives before they reach the age of 30. The Wall Street Journal reports that a panel of advisors concluded by more than a 2-to-1 margin that the manufacturer's study, conducted on only 12 subjects and without a control group, failed to demonstrate that the drug provided any real benefit for patients. Dr. Janet Woodcock, Director of the FDAs Center for Drug Evaluation & Research, justified overriding the panel of medical experts to grant the fast-track approval, not because early studies demonstrated that the drug is effective, but because there are "no [other] treatment options" for DMD. The FDA has recently rejected 3 other drugs intended to treat this illness. Why would the FDA, a completely taxpayer-funded entity created for no other purpose than to safeguard the health and safety of Americans, clear the field of competition and then lower the bar to fast-track a drug for which no scientific evidence of efficacy exists? A drug, incidentally, that is forecast to cost approximately $300,000 to treat the average patient for a single year. Could financial interests have played a part in this decision? Its stock price more than doubling within a few days of the approval, Sarepta is now being described by analysts as "one of the most attractive takover targets in biopharma." Barron's reports that Sarepta received a voucher provided by the FDA for a fast-track drug review. Ostensibly intended to allow Sarepta to quickly buttress its weak experimental results with more scientifically-sound data, Sarepta is expected to instead sell the voucher on the open market for a cool quarter-million dollars or more. Because when you've got a government-protected monopoly, why rush back to regulators for a decision that could only hurt you? And why does the FDA permit such a thing to be bought and sold to begin with? These are people's lives we're talking about, not bypassing a long line at an amusement park. Sarepta has spent nearly a million dollars on lobbying. The pharmaceutical industry spends more money lobbying Washington than any other industry in the United States: over 50% more than the next highest spender, the insurance industry (two of the most heavily-regulated industries in the United States, incidentally). Time magazine reported last year that Dr. Robert Califf, the FDA Commissioner who dismissed the concerns of the panel and approved Woodcock's decision, himself has six-figure ties to Big Pharma. Diana Zuckerman, President of the National Center for Health Research, says such ties “should be of great concern.” While describing Dr. Califf as “a very accomplished, smart physician who’s been an important name in the field,” she goes on to say that his "interdependent relationships" call into question his ability to remain an objective advocate whose sole concern is for the health of the American people. Zuckerman cites multiple National Institutes of Health studies that suggest that the medical products industry uses such ties to influence the behavior and decision-making of doctors and researchers, even when the scientists don’t realize it. If you think there may be more to this than innocent coincidence, that it's time to put an end to the shadowy connection between money and regulatory agency favoritism, sign the on-line petition at COSaction.com. And use the buttons below to share with your friends on social media. Because the FDA was created to help us, not Big Pharma. Congressman Peter Roskam today announced the passage of the RESPECT Act, which stipulates additional requirements that must be met before the IRS may seize assets. Interestingly, the announcement comes on the very same day that state legislators from all 50 states wrapped up an Article V Convention Simulation with a live-streamed floor debate. Civil asset forfeiture is one of many federal abuses that can be addressed at an Article V Convention to limit the power and jurisdiction of the federal government. Earlier this year, the number of states that have passed our resolution doubled, we secured petition signatures from every legislative district in all 50 states, and were featured in a front-page article in the New York Times. The power brokers have begun to take notice, and they'll do anything to make sure that they can continue to do business on their own terms. Senator Mike Lee and Speaker Paul Ryan have introduced similar measures to begin to restore the broken system of checks and balances that inspired the creation of the Convention of States Project. So what's wrong with a little RESPECT from the IRS? This bill has not passed the Senate, nor has it been signed into law by the President. It can be overturned by the Supreme Court. Congress can go back later and gut the law, as they did with insider trading prohibitions. It does nothing to stop seizures by other federal agencies like the Department of Justice. It does nothing to stop other abuses by the IRS, such as politically-motivated harassment and dissemination of confidential information. It does nothing to stop federal officials from using the tax code to reward their big donors by manipulating the tax code in their favor. Congress has a long history of moving to act when state legislatures unify around Article V, starting with the Bill of Rights and continuing with the abolition of slavery, direct election of Senators, the repeal of Prohibition, and term limits for the President. They want to be in control of reforms that will apply to them, not have them imposed by the people's duly elected representatives in the state legislatures. The Convention of States Project is having an impact on Washington, even before we get to convention.